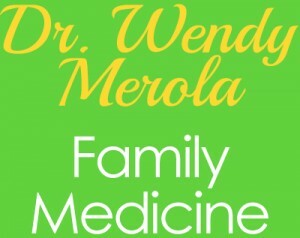 I have known Dr. Merola for over 20 years and she has always been very kind and caring to our family. She will always give you straightforward answers and is relentless to find a solution to your medical issue. Her staff is outstanding and always make you feel at ease when walking into the office. satisfied, as is my husband, son & daughter with this Doctor and her services. A fine staff. I have never waited more than 10 minutes in her waiting room. Her assistant is excellent with drawing blood for Lab work (never feel anything ). Excellent office and service. She has a very comforting “bed side” manner too. My daughter and I have been a patient of Dr. Merola’s now going on 7 years. I am truly amazed at the level of care we receive each and every visit. It all begins when you walk in the door. You know that feeling when you come home for a visit and everyone is excited to see you? This is how I feel each time I have an appointment. The staff Ashlee and Tiffany always have such a warm and caring way about them. They greet you as soon as you walk in the door and ask about you and your family. They are an amazing team. Now let’s talk about Dr. Merola; the only way to describe her is she is absolutely amazing! She has always provided the absolute best care, and I believe, best advice and treatment during every visit and for every issue. I can promise you if your looking for a Family Practice Doctor who is caring, considerate and always provides top notch level of care, then you don’t have to look any further. You will not be disappointed. Thank you Dr. Merola, Ashlee and Tiffany for always showing me you care! Dr. Merola has always gone above and beyond to help our family. She’s been instrumental in helping our oldest adjust to school. Plus, anytime any of us have been sick she has always gotten us right in so we can be better ASAP! It’s so wonderful to have a doctor that your whole family is comfortable with. In this day and age, that’s hard to find.